It had over 37,000 km of routes, divided into five sectors: Continental Europe (based at Le Bourget), the Mediterranean (Marignane), the Americas (Buenos Aires), Africa (Toulouse) and the East (Damascus). But this vast network is deceiving: traffic was centred on Europe. The Paris-London route alone accounted for one third of passengers. The two long-haul routes were little-used. On the Paris-Santiago de Chile route, only mail crossed the Atlantic. And although Marseilles-Saigon did transport passengers on weekly flights, the price and the time taken – 7 days – were off-putting. Six years later, the network had been modernised and considerably expanded. The Far East line was extended to Hong Kong, and tourist connections – Cannes, Biarritz, La Baule, etc. – now complemented the London-Paris-Lyon route. The war threw the airline into turmoil: the network and the equipment were shut down, and business dwindled away. From abroad (Algiers, Dakar, Damascus), three networks run by free France came into existence. After the liberation, they merged with the newly-reformed mainland network to create the Réseau des Lignes Aériennes Françaises. 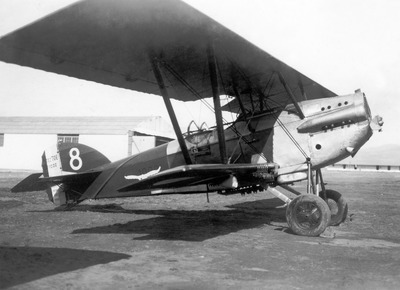 In 1946, the RLAF name was discontinued and replaced with Air France. The airline was reborn, continuing in the footsteps of the RLAF. It leaned towards the Middle East – based around Damascus – and Africa, where it had long-haul routes and several local networks. Its routes were rolled out with increasing speed, helped by commissioning the latest aircraft. The European network was also padded out, expanding up to around 15 routes. The Far Eastern route, once off-limits to civilian traffic, was extended to Shanghai. Brazil and Argentina were once again linked to France. 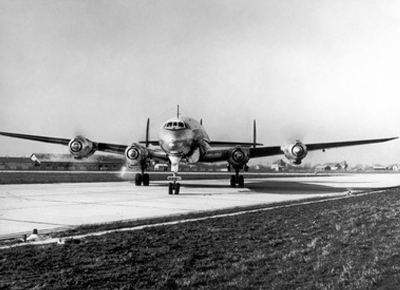 Most notably, Air France opened its very first route between Paris and New York (1946), via Shannon and Gander. Three years after the end of the war, the airline could already boast "the world's largest network", with routes stretching over 188,000 kilometres. The pace continued into the next decade. New destinations were opened all over the world. In the Americas: Mexico (1952), Chicago, Montreal, the West Indies (1953), then Caracas, Bogotá, Quito, and Lima (1958). In Asia and the Pacific: Tokyo (1952), Noumea, Brisbane and Sydney (1954). And development even took place in Europe, including Moscow (1958), after relations between France and the Soviet Union thawed. This deployment was barely affected by the outside context. Firstly, Air France was in competition with the private French airlines UAT and TAI – reunited under the UTA banner in 1963. The airline had to share flying rights within the former French empire, the French Union. This was followed by decolonisation, shaking up the situation with the introduction of local players in Indochina, North Africa, and sub-Saharan Africa. 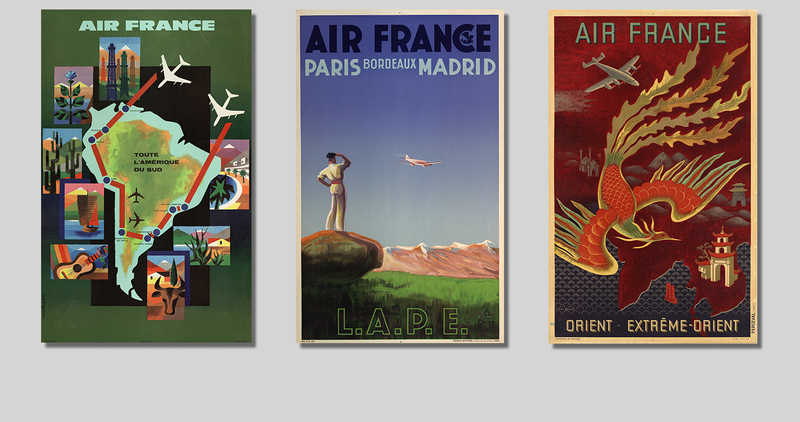 The arrival of jets meant that Air France continued to flourish. Caravelles were soon flying over Europe and the Mediterranean, with Boeing 707s on American and Asian routes, and subsequently throughout the long-haul network. Their range enabled new direct flights: Paris-Los Angeles and Paris-Rio. 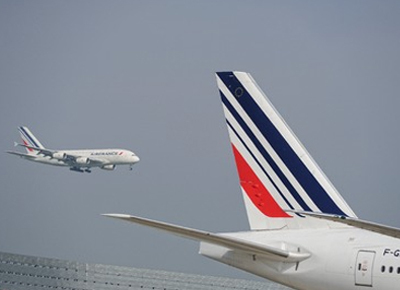 Air France was now the airline with "the two best jets on the world's biggest network". In total, the airline covered 430,000 kilometres. The arrival of jumbo jets freed up the B-707s, which were redeployed to new routes such as Paris-Moscow-Tokyo (1970), Paris-Beijing and Paris-Doha (1973). Between 1976 and 1987, a number of destinations were added, particularly in the Americas (Boston, Miami and Recife). Air France set out to conquer the skies of Europe, with a new generation of medium-size models (the B-737 followed by the A-320). At the end of 1988, the airline could boast the largest number of destinations in Europe (82). With the arrival of deregulation, which weakened the position of the major players, expanding no longer had the same strategic interest. It became preferable to focus on key markets, with networks built around connection hubs. In 1996, Air France opened its Roissy-Charles de Gaulle 2 hub, then merged with KLM in 2004 – with its own hub at Amsterdam-Schiphol. Their complementary networks were also connected to those of partner airlines of the SkyTeam Alliance. By choosing Air France, travellers now have access to over 1,000 destinations around the world.